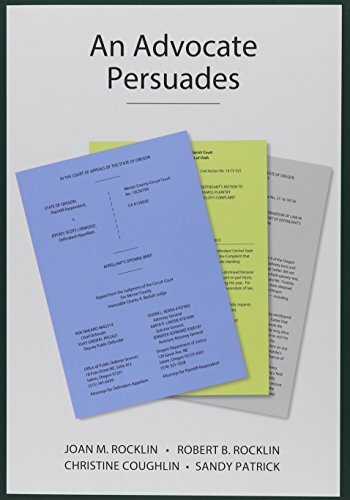 1611631505 –An Advocate Persuades introduces its reader to the role of the advocate and the tools of persuasion. This book, like its predecessor A Lawyer Writes, places the reader in the role of a first-year attorney. Now, that first-year attorney must draft a motion or appellate brief and then present an oral argument.